James Thomas Willis known to his family and friends as Tommy was my maternal grandfather. What I know of him I’ve learned through the stories others have shared with me since I was only one year old when he died on September 19, 1961. The photo below is one in a series of three photos taken during Christmas 1960 with my mother, grandfather and me. As I understand it he was extremely proud to be a grandpa. These are the only photos I have of me with my grandfather so I cherish them. My grandfather is buried in the Willis family plot at the IOOF Cemetery in Noble, Oklahoma with his parents and my grandmother. The cemetery’s listing of those interred here is inside a glass case on a column that you turn using a small wheel to view the alphabetically arranged surnames with the grave location. Of course, they also provide a map of the cemetery. Below is a listing of the Willis’ buried here. 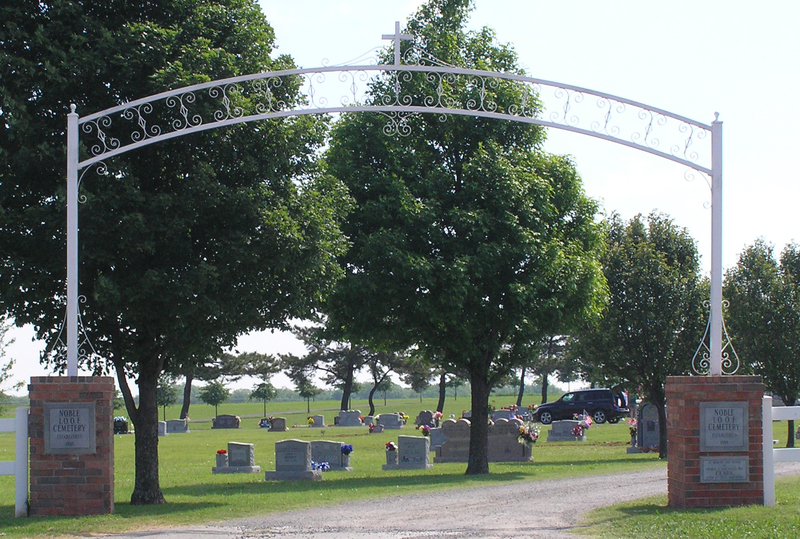 This cemetery is also the resting place of several of my husband’s maternal family members and our infant son. I love the Christmas cards on the drapes–I remember when we used to do that. I only recall noticing that I was included in that one obituary yesterday and I like that. Very lovely post. Wonderful photo of three generations. Very touching.